I know I know, it’s been far too long!! My mother has had a go at me, my wife has had a go at me and even one of you on Facebook has been wondering where the heck I have been. Let me reassure you all that we are doing just fine and everyone is well! See you soon then! Bye! We are rapidly approaching a year here in South Africa. A year!!!! It’s gone by in the blink of an eye I can assure you. The family is extremely well and especially the kids. They have started in a new school recently and they are still thriving in the outdoor environment that South Africa provides. Not only are the little ladies thriving but they are excelling at the same time. Issy is almost 5 now and I’m not sure I have seen such a clever little lady in my life. Insightful and always trying to sponge up information. Emilie is hilarious. A two-year-old wrecking ball that makes everyone smile and fall in love with her at first sight. They are chalk and cheese to one another and that is just fantastic as their independence and love for spending time with each other grows in equal measures. Mikaela is running a beautiful hotel called Cascade Manor in the Winelands and me……..well I’m plodding on and trying to be as proactive as I can in finding work and running my other website. It’s called scrum5rugby.com for all of those that are interested and it is all about RUGBY! My main passion in life, after my family of course. I love writing and I have even done a few interviews to try and elevate the number of people visiting the site. Since the new year I have been putting heart and soul into creating content. So far so good on that front whilst I juggle projects that range from school rugby to mental health issues. So those are the basic facts but in reality, emotionally if you will, what is really happening? Let’s address the negative points first shall we? I’m constantly asked about the UK and whether I am missing it and my answer has not waivered a single time. I thought that being away from my friends and family would be like splitting up with a girlfriend. Over time it would hurt a little less and I’ll just get used to life without them. That is not the case because unlike my rotter ex-girlfriend I actually do want to see them and not forget about them. I’m craving going to the pub for a few pints with my mates more and more if I’m honest as that, for me, was my escape. My time of switching off was having a few pints, watching sport and chatting absolute crap with my mates. The more pints the better the crap chat. I do pop down the pub here and I’ve built a bit of a friendship group in the local bar with whom I watch sport an chat away with but….well……I don’t really know how to explain it but it’s just different. Looking for work is equally as hard. WILL PEOPLE PLEASE RESPOND TO E-MAILS??? ANYBODY!!!! I keep being told that this what it is like in the Cape and you must chase constantly but my word, my patience is being tested. I have to admit at this point that I am one of those annoying people that has to answer an e-mail straight away so that it is dealt with and off the list. Half of you would think I am nightmare to work with whilst others would love it. It’s just how it is I suppose but it’s not working for me. My advice to myself a year ago when handing in my visa application would be to apply for a freelance visa and work for myself. With the politics behind acquiring a job you will find that a lot of companies will use freelance workers or contractors to avoid not being compliant. It’s a bit of a loophole but it works and it’s great for the self-employed. Whilst on the subject of people, we have had some visitors from the U.K. and it has been amazing to show off our new life to them. Some have stayed for a few weeks and some for just a couple of nights but to have them here so we can show off our little part of South Africa has given me great pride. My Mum has been over which was fantastic. She has been to South Africa twice before for holidays with us and for our wedding but not whilst we have been living here. It was quite nerve racking for me as I know Mum would rather I live in the U.K. whilst I also know that she wants what’s best for me, Mik and the kids. She does want me to be happy overall. I was battling an internal fight of trying to relax but also prove to her that I was in the right place. I’m not convinced I achieved either. It was lovely having her here and she got so much out of her Granddaughters. We even had a mini Christmas which was perfect apart from the huge tree that we had cut down collapsing on me about an hour after putting it up. I know how those burglars in Home Alone felt now. Another positive is that my love for South Africa as a country is still burning brightly. Braais, wine farms, outdoor living and the weather are a cocktail for happiness. Sitting outside, staring at the mountains whilst my little bare bummed daughters run around the garden or splash in the little paddling pool is magic. This country has umpteen fascinating places to explore. So many stunning places on your doorstep. We have camped in Robertson and had Christmas in Swellendam half way up a mountain. They were incredible experiences and we have so many more planned. Christmas in the heat is really strange just as a side note. The festive season sort of just passes you by in a flash as the build up is negligible at best. It’s a strange sensation but I have never cared too much about it anyway. The magic has come back a bit since having children but generally the build up has always bugged me as commercial machines move up through the gears day by day. Mikaela loves it though and really missed the annual trip to Winter Wonderland in Hyde Park and mulled wine. We will have a Christmas in the U.K. again that’s for sure and maybe me having a bit of time out from it all might make me appreciate it when we do. I will have to admit that the carol service we went to at Kirstenbosch Botanical Gardens was very special though. As the light faded, you could see right across Cape Town and for the second rendition of Silent Night they switch off every light around the stage and every spectator slowly waves a glow stick in the air. That was a moving experience that I won’t forget for a long time. We have always been a family that are willing to explore areas and find new experiences. We love driving into Cape Town and having a nose around and when someone offers you a chance to do something different then we’ll take them up on it. I was very lucky one day when my phone pinged to say I had a ticket to the Cape Town Sevens just a couple of days later at the Cape Town Stadium. As a rugby fanatic this was too good an opportunity to miss so I played it cool with Mikaela and my Mum (don’t judge me that I dumped her for a day please!!) and made out like it was a real shame I couldn’t go. It worked a treat. Both said I should go and I toddled off with my mate for some rugby and light refreshments. What a day! Sevens Heaven! An incredible stadium and an electric atmosphere. The day after was a struggle, that I can not deny. Probably the heat rather than the beverage consumption level I assume!! The Franschhoek Wine Tram is another activity that shouldn’t be overlooked by wine connoisseurs. It’s brilliantly well run and takes you to some of the most glorious venues in the Winelands to partake in tastings and a spot of lunch. It would never take off in the U.K. because it would quickly be branded as a ‘booze cruise’ but it is far from it let me tell you that. I’ve taken two of our travelling friends on the Tram, on differing routes and both times have been as equally special. One other point about people visiting is that each and every one of them have fallen in love with South Africa or have been here before and are back for yet another injection of the African sunshine and love. My brother is coming out in March and I couldn’t be more excited to show him how amazing this land is. I for one love it as well, as it is a quite magnificent country. As I’ve said before, it’s not without its issues but I can choose to cut through that without being naïve to the reality of it. It may sound ignorant of me but I didn’t grow up here and don’t have extended family here so there is no emotional baggage for me. I hope I’m not being disrespectful but I wouldn’t expect my neighbour to be as worried about Brexit as I am so I hope that demonstrates what I mean. I fully respect the culture and what has happened in the past but I don’t need to be bogged down by it in making it my business if that makes sense? Either way I believe we are 75% of the way to being settled and enhancing the already fantastic yet rocky road that we have walked so far. We are a tenacious bunch and our children ooze that as much as Mik and I so whatever happens in the near future I wouldn’t want to share it with any three other people on the planet. One thing I do promise though………….you won’t need to wait six months for another blog!! About time too Andrew! I always really enjoy your blogs. Great post, and thanks for your honesty. I feel for you, missing traditional experiences like going down the Pub because it’s the small things that we value that makes life what it is ( or isn’t ) for us. Perhaps you could open a pukka British-style pub? Sell proper pub grub UK style etc? Start where you stand…it’s probably easier than you think once you get into the idea? Call on friends and family to help you fund it ( start a Thunderfund campaign! ). No reason why you shouldn’t have your Pub…AND the great SA lifestyle? 🙂 Best of luck! I Love reading your blogs!! 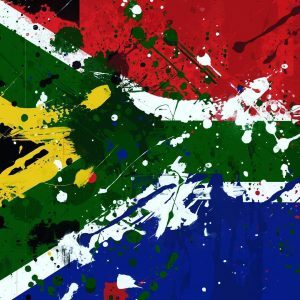 I’m a South African and have a natural attraction for SA (we are currently in the UK), but hearing things from a ‘foreigners’ perspective is far more honest and ballanced!! So good to hear you’re enjoying life out there. It is a special place that has a ‘spirit’ about it!! Keep it up and don’t forget to listen to the sounds, inhale the atmosphere and enjoy the ride! !